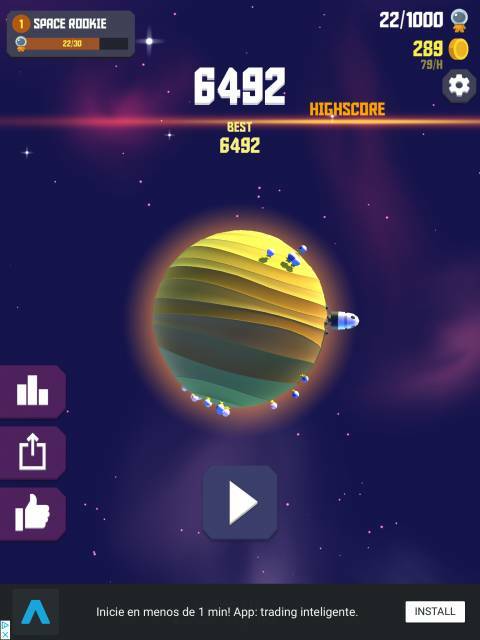 Welcome to our petite guide to the ever-so addictive, and insanely good sequel to the massively popular Space Frontier, apptly titled, Space Frontier 2! There is not a great deal to this great game, but to get good at it will need the timing of master, read on for some tips on upgrades, tapping and more. So let's first introduce you to the game. The aim is simple, you fly a rocket throughout the galaxy with the aim of landing astronauts onto far away planets and inhabiting them. Super-simple , but super-hard to master. 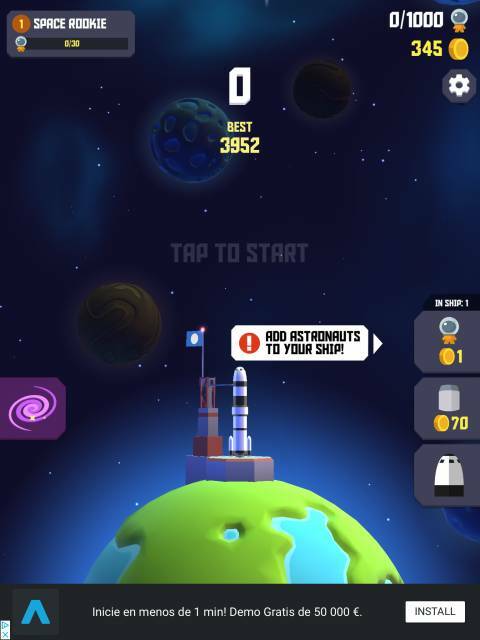 You just tap to launch the rocket, then tap again when the circle that appears is as close to completion as possible, this will launch the rocket, then depending on how many sections your rocket has will determine how many more times you need to do this process. Each time you tap, another piece of your rocket is ejected and you receive a boost. The closer you tap to the end of the circle, the better the boost, and coin bonus. If you successfully tap at all the correct points (If you fail to tap before the circle completes, your rocket blows up! - taking all the on-board astronauts with it! 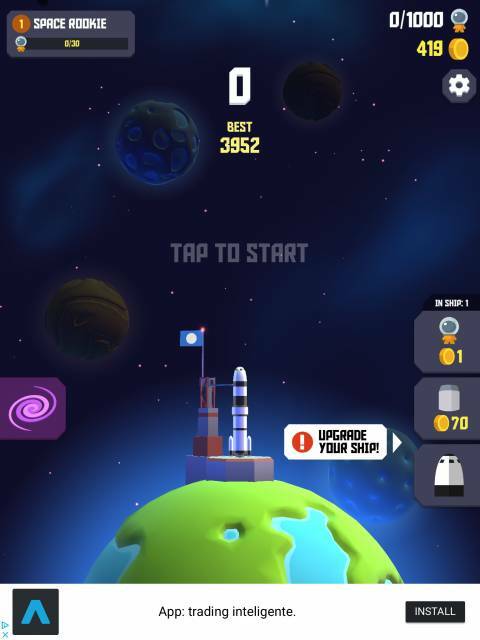 ), you will land somewhere in the universe and the astronauts that launched with your ship will inhabit that planet and you will receive residual coinage at the hourly rate shown in the top right of the screen! Simples! So as you can see, it is a pretty simple game, so what do you need to do to make your flight to the moon, or far away planet as lucrative as possible? Upgrades... Of course... Upgrades! As you progress through the game you will earn coins, use these initially to upgrade your ship, each upgrade will add an extra section to your ship and allow it to travel further, bringing you greater reward. Instead of flying one astronaut to a far away planet... Try sending a heap more... 20 or more even... Each one you add though costs more coin incrementally. And be careful cos if your rocket blows up with a big crew on board, they are all gone along with the ship! The addition of astronauts is only good for one flight, you'll have to add more again in the next flight. We recommend focusing on getting a good ship first until the upgrade costs are too high. Landing your rocket is the ultimate aim of your mission. The more astronauts you land and the further away your ship lands the better the reward.